Serve On International Response Team recruits learning breaching and breaking techniques. This weekend was breaching and breaking training for recruits to Serve On’s International Response Team. Like any good marathon runners, our recruits hit the wall... and just kept going. It was another great session’s training on the way to becoming fully-operational search and rescue workers. 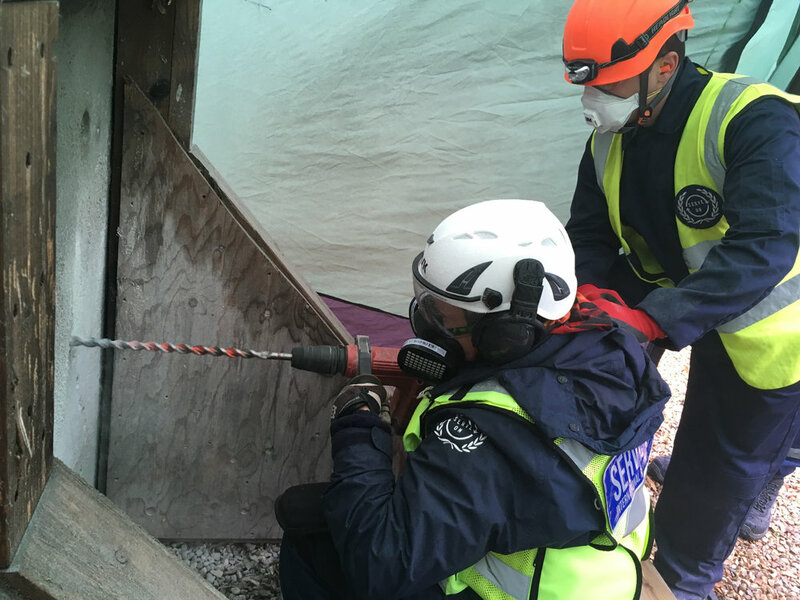 Thanks to the Devon and Somerset Fire and Rescue Service – and especially George – the recruits had the use of the specialist USAR facilities at Clyst St George, which allowed them to practice practical breaking and breaching, using drills, breakers, grinders, and recip saws. 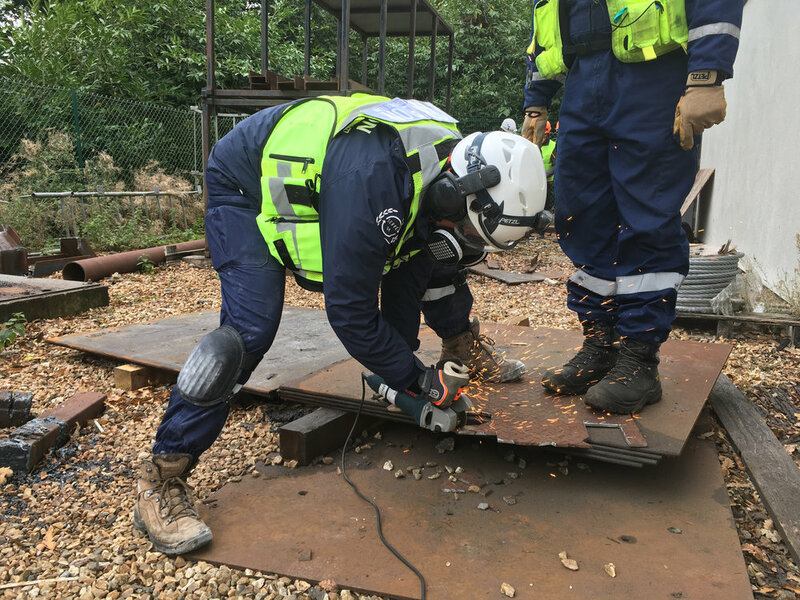 They also learned important breaking and breaching theory and equipment maintenance as well as doing some refresher lessons on building markings and a quiz on all the subjects they have covered so far. Thanks once more to the efforts of Garry, Ian Tony and Simon and the rest of the training team. The training is really stepping up a gear now but, for all our latest recruits, it was good to reach a little further up the steep learning curve.